This week's column examines the embargo the media, from left to right, slap on fact after death. They may think it's good manners (or good politics), but it's not only a disservice to readers and viewers, it's dangerous for democracy. Something about the death of a famous liberal person turns the media into grieving widows whose dictum against speaking "ill" of the dead eliminates all sober analysis of the life in question. Once, death in the passing parade came to us, more or less, in "just-the-facts, ma'am" obituaries. Now, breaking, live and for the duration, a celebratory loop plays on about even the most mixed and controversial public lives. It is bad enough -- awful enough, dispiriting and dangerous for the Republic -- for our own media to airbursh away Ted Kennedy's criminal behavior at Chappaquiddick, where Mary Jo Kopechne died 40 years ago this summer, kicking into action the Kennedy fixers and shills that kept the first-term senator politically "viable." (More on this in this week's column.) But being told that the American media set a good example of "forgiveness," or that America is to be congratulated for being the "land of second chances" is almost worse. It's no compliment; it's just evidence that our shamefulness is world-renowned. Ted Kennedy’s career shows that America is indeed the land of second chances. "Four British soldiers die for sake of 150 votes." The story is about British losses to secure Election Day safety in a sector of Afghanistan where thousands were eligible to vote and 150 showed up. Four British soldiers die for sake of 150 Afghan votes." Iraqi strongman wannabe Nouri al-Maliki has failed to join the latest incarnation of Iraq's leading parliamentary bloc, the United Iraqi Alliance. The new Shiite coalition will be led by the Islamic Supreme Council of Iraq, a conservative party that is among Iran's closest allies in Iraq. It also includes the movement of anti-American cleric Moqtada al-Sadr; the Fadhila Party; former Pentagon ally Ahmed Chalabi; and former prime minister Ibrahim al-Jafari. In other words, it's old home week at the Shiite coaltiion: All of these characters and parties have been in and out of Iraq's leading political alliance, with its list headed by the Islamic Supreme Council of Iraq, since the 2005 parliamentary elections. 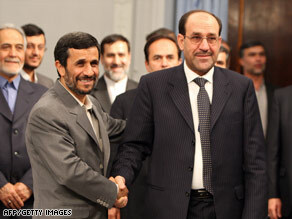 All that's really missing this time around is Maliki and his Dawa Party. Alliance leaders said they invited Maliki to join but refused to guarantee that he would keep his job if the alliance obtained a majority of seats. If a Libel Tourist Falls in the Forest, Will a Libel-Scarred(Scared) Media Report It? Turki's two faces (thanks to Ruth King): Neither likes the idea of US oil independence. 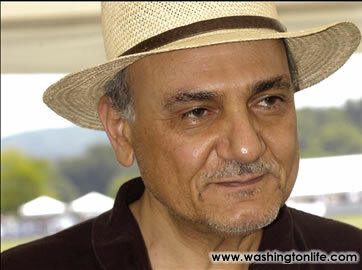 Turki al-Faisal is extremely upset with talk, just talk, of US oil independence, even from the vassal-in-chief. Today, in Foreign Policy, the Saudi inveighs against such "demagoguery." It's an amusing read, actually, and quite revealing of the depth of fear even the lip-serviced prospect of American Independence from Saudi Arabia inspires in the desert chieftains. Andrew Bostom illuminates the reason the media is blind to the significance and potential consequences of the Riqfa Bary story at the American Thinker today: why, as he puts it, "Rifqa Bary faces death for her apostasy from Islam, while the media ignores the solid religious and institutional grounding for the practice." Warning: The following images may be "inflammatory" and/or "tasteless." It is up to you to determine which are so. 1) The Saudi Arabian flag. Would you please take a look at the Saudi flag. The writing on the flag translates, "No God but Allah and Mohammed is his prophet." Underneath that religious statement there is the large sword. It represents the superiority of Islam and its desire to impose it by force on the non-Muslim. This statement is the underlying foundation of Islam. No, I have not just raised the curtain on a new Mel Brooks musical number, with the "imam," center stage, about to break out singing: "Autumn ... at Ya-le ... means Ram-adan...."
Behold Yale's Coxe Cage where in October 2008 hundreds of area Muslims, including Yale students, gathered for an Islamic service. (Story and slide show here.) I found this stunning East-meets-absorbs-West image while researching this week's column in which I make the case that Yale probably censored the Motoons in accordance with Islamic law to please potential Muslim donors who fund the extension and entrenchment of such law. Prince Andrew's upcoming royal visit to Libya is now "in doubt." 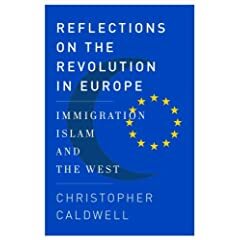 The official story is that fear of Muslim violence drove Yale University Press (YUP) to censor the Danish Muhammad Cartoons and other imagery of Muhammad from an upcoming book about, well, the Danish Muhammad Cartoons. That's what Yale, its administration and press, says publicly, matter-of-factly, and, it seems, without shame. But it is a shameful thing. Yale's decision to censor pictures of Muhammad from an academic text about them is one of those watershed moments that history will record as institutional capitulation to sharia (Islamic law) at one of the storied centers of Western learning, American branch. It also happens to be my alma mater. 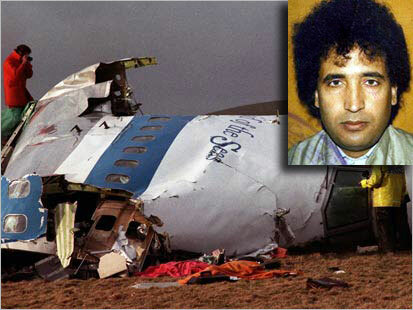 Despite intensive last-minute lobbying by the US government, the Libyan intelligence agent convicted of the 1988 bombing of Pan Am Flight 103 and killing 270 people is on his way home to Libya today after serving just eight years of a life sentence in a Scottish prison. Megrahi was the only man ever convicted in the 1988 attack, which killed 189 Americans, making it this country's single largest terrorist attack on civilians before Sept. 11. I never met Robert Novak, wasn't influenced by him, and, truth be told, didn't much read his column or see him on TV. I was mainly aware of him as a very famous conservative columnist marked by a reflexive and implacable hostility to Israel. I learned only today at DebbieSchlussel.com that he also had a shocking affinity for Hamas. Having passed away, he is now the subject of quite unstinting appreciations from fellow conservatives, even those who are known for their strong support for Israel. Particularly when it comes to media figures, it is not "speaking ill of the dead" to discuss their passionately, publicly argued opinions. Why is Novak's support for Hamas now overlooked by so many of his peers? Question for Americans: How can we as a nation even consider using our military for another "surge" in Afghanistan when the "surge" in Iraq has left little more imprint on the sands of Mesopotamia than the receding tide? when the "surge" in Iraq has left no more imprint on the sands of Mesopotamia than the receding tide? At the last minute, I hedged, thinking well, maybe there is just a teeny tiny bit of a post-surge US imprint, so I changed "no" to "little." That, as this morning's Wash Post confirms, was a mistake. Seems the Iraqi government wants to hold a referendum in January on booting US forces out ahead of schedule, which to my mind promises to erase any and all residual US influence. I'm fine with this because I would like to see US forces leave yersterday and take their "surging" comrades in Afghanistan with them for a major realignment of US policy that would never again place infidel America in the unworkable, failed strategy of fighting for the soul of Islamic nations. What is disturbing about the story is the non compos mentis US/Pentagon reaction. Over the weekend, Roger Kimball reported two new facts related to the enforcement of sharia prohibitions at Yale University Press against publishing imagery of Mohammed -- and especially imagery of Mohammed that illustrates the sacralized links between Mohammed and jihad violence. Klausen does not think it is a matter of principe [to have the cartoons published]. "If there is a real danger, the cartoons should be removed from the book. I am not Geert Wilders." No one needs to draw a picture to show that In this free speech fiasco at Yale, there's no free speech hero. Behold the guardian of Yale Dhimmi-versity Press: John Donatich, dressed for a hard day's work in the Ivory Tower snipping out what he calls "gratuitous" images of Mohammed through the centuries. Mohammed by Old Masters and Mohammed by sketch artists; Mohammed in a 19th-century woodcut by Dore and Mohammed in a 21st-century caricature by Westergaard. 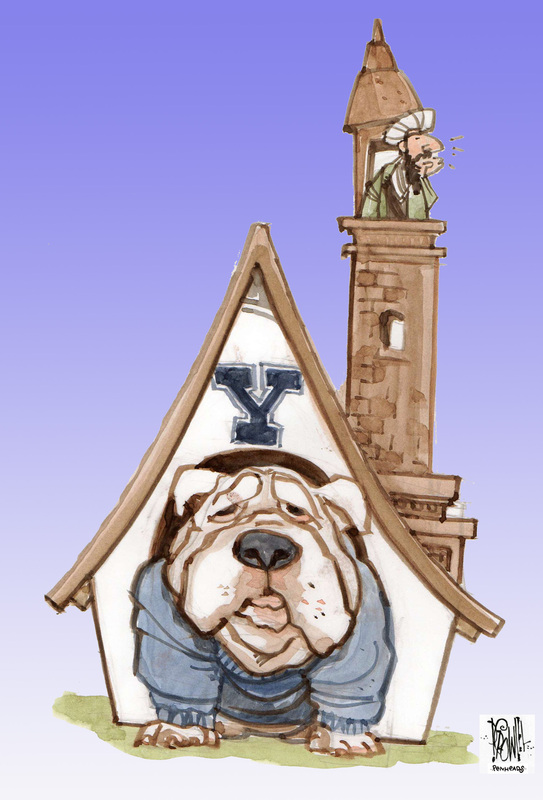 I refer, of course, to Yale University Press's decision to delete all imagery of Mohammed in a book about imagery of Mohammed, which, as Roger Kimball reports today in a fine bit of detective work, appears to have emanated from Yale University's highest offices. The book's title is The Cartoons That Shook the World. Sans pics, the book also should be re-titled: [Expletives Deleted] That Shook the World. Or just: ...That Shook the World. It makes as much sense. It's official. Islamic law extends to New Haven, Connecticut where Yale University Press has chosen to submit to the dictates of sharia and not reproduce the 12 Danish Mohammed Cartoons in a new book about ... the 12 Danish Mohammed cartoons. Indeed, in keeping with sharia's dicates, the book, The Cartoons that Shook the World by Jytte Klausen, will include none of the originally planned images of Mohammed, including, as the New York Times reports, "a drawing for a children’s book; an Ottoman print; and a sketch by the 19th-century artist Gustave Doré of Muhammad being tormented in Hell, an episode from Dante’s “Inferno” that has been depicted by Botticelli, Blake, Rodin and Dalí." LTC Timothy Karcher was the last American commander of Sadr City, and the officer who personally signed over jurisdiction of that hellish sector to Iraq in June. As some readers know (from the links here), shortly after the sign-over and shortly before leaving Iraq, LTC Karcher was the victim of a roadside bomb attack in which he lost both legs above the knee. In a follow-up roadside bomb attack, one of his soldiers, Sgt. Timothy David, a veteran of six tours in Iraq and Afghanistan, was killed. No statements of outrage and gratitude followed, from either American or Iraqi leadership. No vows of finding or bringing in the killers followed, either. In fact, aside from a few mainly local mentions, nothing followed. Was "the Surge" a Band-Aid? Well, was it? I have always feared that pumping additional troops into Iraq could achieve no more than stop-gap success because the strategic formula of the surge depended on triggering impossible Iraqi reactions to US-created security -- namely, what we took to calling Iraqi "political reconciliation." It was rampant violence, the surge theory went, that prevented the warring sects of Iraq from achieving "political reconciliation." Remove the violence, our PC-Bush administration/PC-Pentagon fantasists said, and an Iraqi Republic of Kumbaya would break out. Never mind that this formula made zero religious, historical, cultural or anthropological sense. We, Occidental hangovers that we are, so ordained this Occidental assumption about the Islamic peoples of Iraq -- that without car bombs in markets every day, Jeffersonian democracy or something would flower. Hence, La Surge, a strategy that was never more than a military catalyst for a Hail-Mary-hoped-for Iraqi political reaction. The war in Afganistan, in case you didn't know, in the words of Gen Stanley McChrystal, is "a struggle for the support of the Afghan people." And you probably thought it was a hangover from the war on terror. Nope. We are now waging a campaign whose strategic priority (if you can call it strategic) Gen. David Petraeus calls "first and foremost ... a commitment to protecting and serving the people." And that would be the Afghan people. And no this is not the Peace Corps talking. This is the military's way of explaining what Gen. McChrystal calls a "holistic counterinsurgency campaign." Over at Powerline, Paul Mirengoff specuiates about the political steps that may have led Prez O to honor Mary Robinson with a Presidential Medal of Freedom. 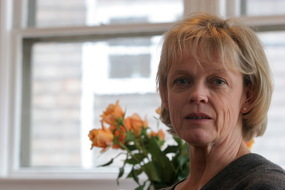 Robinson is the former UN High Commissioner for Human Rights (1997-2002) who led the infamous 2001 Durban Conference Against Racism that immediatey preceded 9/11. Durban, remembered for its vicious outpouring of anti-Semitism -- the US and Israel walked out -- is not the sort of resume-builder to garner America's highest civilian honor, except, of course, in times of "hope and change." NON-FICTION: HISTORY/POLITICS/CURRENT AFFAIRS Activist, "Green for All" organizer, and blogger Ibrahim Abdul-Matin's GREEN DEEN: How American Muslims Go Green, illustrating the synergies between Islam and environmentalism, and offering Muslim Americans practical steps for going green that help them align their personal and community practices with their aspirations for a better world, to Johanna Vondeling at Berrett-Koehler (World). An industry wag writes: "I can see it now. Coming soon -- THE GREEN JIHAD: HOW TO DESTROY THE WEST WITHOUT DESTROYING THE PLANET...!" Time for some arithmetic, folks. Behold the pie chart, which comes from the UN Assistance Mission in Afghanistan (UNAMA). It shows all sources of Afghan civilian casualties to date this year. Such casualties are widely, if not exclusively, portrayed by US civilian and military leadership as The Stumbling Block to our winning "hearts and minds," or "trust," in Afghanistan. Such trust is widely, if not exclusively, depicted at the key to victory. As a starry-eyed Brig. Gen. Steven Kwast, commander of 5,000 airmen at Bagram Field, Afghanistan, put it to the Air Force Times yesterday: "Victory in this conflict is about winning the hearts and minds of the Afghan people and engendering their trust. When the Afghan people trust us and believe us when we tell them what we’re going to do, we will win this overnight." 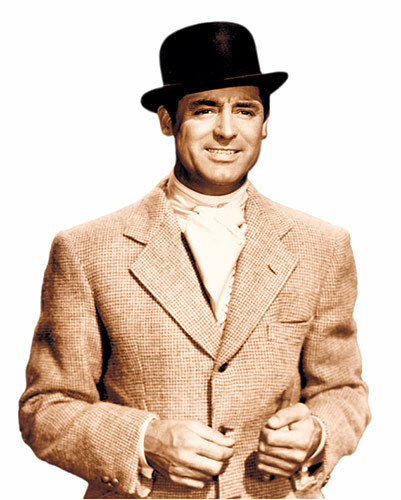 The Friday arts section of the New York Times was bait on a hook for Old Movie fans with a layout built around a large and lovely photo portrait of Cary Grant. I don't know what's with the sepia tones -- as opposed to b&w -- but there you have it. So, I picked up the story by Mike Hale, preparing to enjoy a bit of time travel -- a considered look back over Grant's movie career pegged to a festival of his films opening at BAMcinematek, which, despite the Mittel Europa overtones, is the Brooklyn Art Museum's repertory film theatre. The headline promised a deservedly, if routinely, appreciative, critically cogent appraisal -- "Once Upon a Time a Real Leading Man." For a movie critic (which, speaking of once upon a time, I once was), a Grant retrospective is kind of like a vacation: a string of first-class, top drawer movies, a number of lesser entertainments, some real clunkers, but all in all, a dazzlingly memorable career created by a dazzlingly memorable actor -- a heroically designed leading man whose sense of style we can now appreciate as an early form of performance art, who happened also to have a genius for romantic, even screwball comedy --- not easy at all. And not common at all. He was unique. Grant has a tremendous run of movies in the late 1930s including The Awful Truth (1937), Bringing up Baby (1938), Gunga Din (1939), Only Angels Have Wings (1939), His Girl Friday (1940), and, to top it off, The Philadelphia Story (1940).